How many Saudis are only working one hour a day? It was a moment of candor in a rare public debate about the future of Saudi Arabia's economy -- and its workers. According to civil service minister Khaled Alaraj, many Saudi government employees are really only working for an hour each day. "[The amount worked] doesn't even exceed an hour -- and that's based on studies," he said. Alaraj's comments came during a televised roundtable late on Wednesday about how to reform the kingdom's economy so that it is better equipped to weather periods of low oil prices. Analysts say changes targeting the country's public sector will be crucial. Almost 70% of employed Saudi nationals -- more than 3 million -- hold jobs in the public sector, according to McKinsey. The cushy positions are highly coveted because they offer ironclad job security and lucrative salaries. McKinsey estimates that public sector wages boomed by an average of 74% between 2004 and 2013. The average government worker was making $2,400 a month in 2013. "The public sector will have to limit or curtail employment growth, and a new balance will need to be found between Saudi nationals in the workforce and the foreign laborers," McKinsey said a report last year. Alaraj acknowledged there was an imbalance between the public and private sector, and pointed to a surplus of pending job applications. "In my ministry we have more than a million job applicants," he said. "Of them, 200,000 are already working in the private sector and are prepared to take a pay cut." Saudi Arabia relies on oil revenue, and a sustained price drop has put a massive hole in its budget. The government has already introduced a sales tax, slashed subsidies on energy and water, cut top officials salaries and borrowed billions in an attempt to balance its books. "If we didn't take any reform measures, and if the global economy stays the same, then we're doomed for bankruptcy in three to four years," Mohamed Al Tuwaijri, the deputy economy minister, said during the roundtable. Deputy Crown Prince Mohammed bin Salman is spearheading the reform effort. 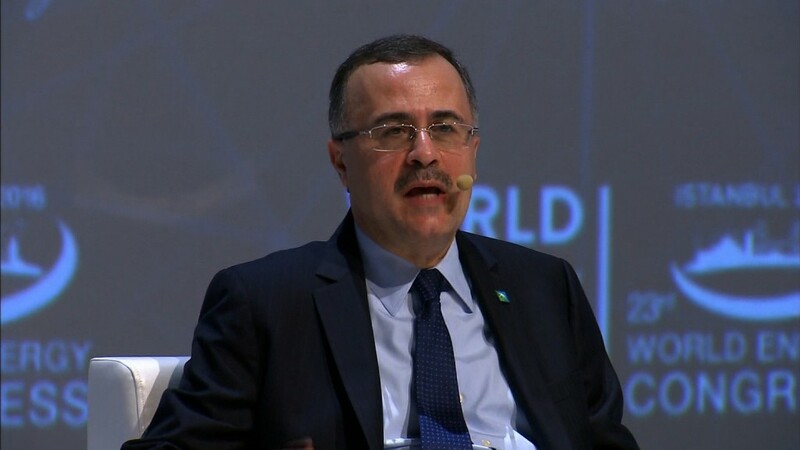 He plans to boost non-oil revenues sixfold to $266 billion by 2030, sell shares in national oil company Aramco and create a $1.9 trillion public fund that will invest at home and abroad. A televised debate on economic policy? That's new too. "It was a clear indication of the new leadership's commitment to enforce transparency," said Salman Al-Ansari, president of the Saudi American Public Relation Affairs Committee. "Saudi officials for the first time started to argue publicly."